Scullion runs the fastest Irish marathon since 2011, while Fionnula McCormack makes an impressive return at the NI International Cross Country. 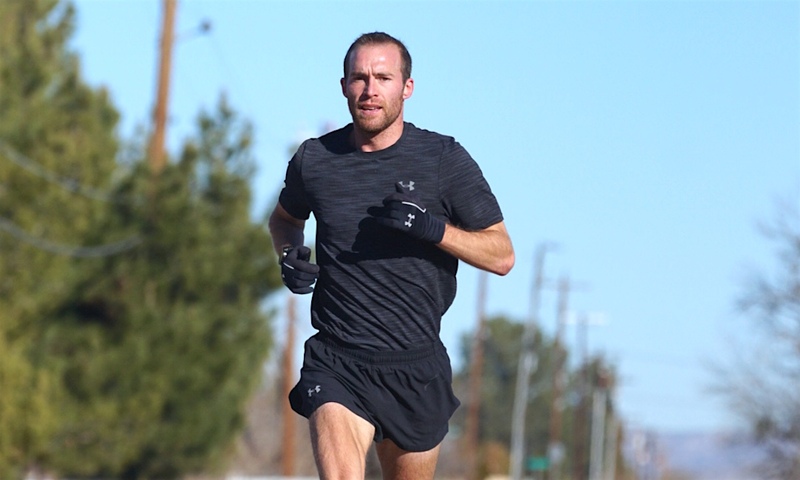 Stephen Scullion ran a personal best 2:14:34 to finish in 10th place at the Houston Marathon on Sunday (January 20). 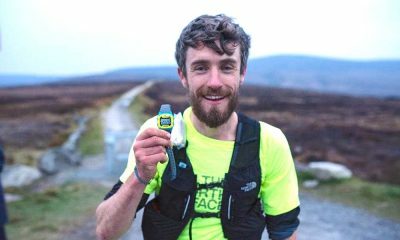 The 30 year-old’s time is the quickest by an Irish runner since Mark Kenneally’s 2:13:55 at the Amsterdam Marathon in 2011, while only two Northern Irish men – Greg Hannon and Tommy Hughes – have run faster. Scullion, who is sharing his journey this year on Fast Running, knocked more than a minute off his previous mark from London last year. His race was not without incident though, and somewhere around the 25km mark he took a wrong turn. After average paces of 5:07, 5:03, 5:06 for the early 5km splits, the US-based athlete logged 5:17 for the 5km before the 25km mark. He then made up for the lost time by running an average pace of 4:59 between 25km and 30km. Ireland’s 10,000m champion went on to post a second half split of 67:31 compared to 67:03 for the first 13.1 miles, before crossing the finish line in 2:14:34, taking one minute and 21 seconds off his previous best. 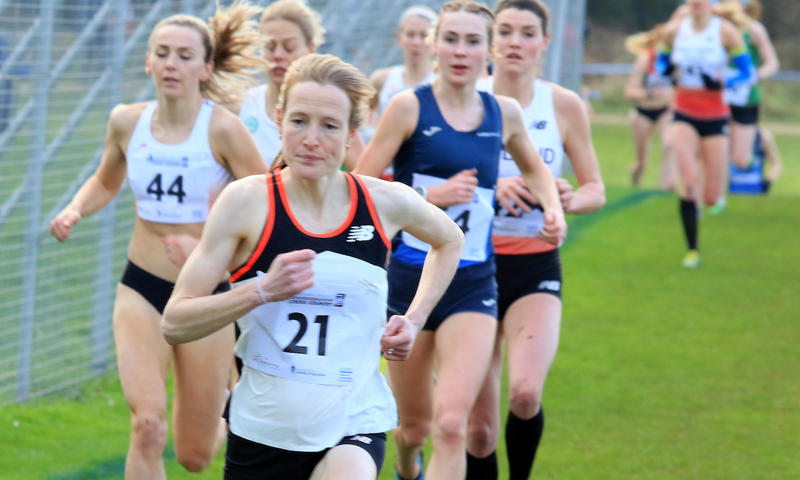 Double European champion Fionnuala McCormack of Kilcoole AC made a surprise comeback to cross country racing to finish sixth in the women’s race at the IAAF Northern Ireland International Cross Country International at Dundonald on Saturday (January 19). McCormack, who recently gave birth to her first child, had also finished sixth in the women’s 8km a year earlier before taking a year out from the sport. She won the race in 2012 and 2013. In a race where the top four places were taken by East Africas, she finished just four seconds behind Emily Hosker Thornhill of England in 27:24. Race winner was junior athlete Maskerem Mamo of Ethiopia in 26:20. “Yes it was enjoyable – the first half I was a bit scared but the second half I enjoyed it more. It’s nice to come back to a real cross-country – hills, muck and nice weather as well – so nothing to complain about,” said McCormack after the race. DSD’s Laura Shaughnessy was second of the Irish, finishing 15th in 25:53, with Kilcoole’s Una Britton, McCormack’s sister, one place behind for 16th. Breege Connolly of City of Derry Spartans finished first for the Northern Ireland and Ulster team in 20th place and was also first W40. The Irish U23 team was led home by Avril Deegan in 33rd place. In the men’s 10km race, Mark McKinstry of North Belfast Harriers was first home of the local runners finishing 13th and first M35. One place behind was Liam Brady of Tullamore Harriers who was first home for the Republic’s senior team. He was followed in 15th and 16th places by Mullingar’s Cormac Dalton and Sean O’Leary of Clonliffe Harriers who were running for the Irish U23 team. Glaslough’s Conor Duffy running for Northern Ireland and Ulster was 17th and Irish steeplechase champion Adam Kirk Smith of Derry Track Club 19th. Race winner was Ethiopian-born Birhanu Balew who runs for Bahrain. In a closely-fought U20 men’s race, just 16 seconds separated the top six, with Zak Mahamed of England the winner ahead of his team mate Benjamin West and Irish-based pair Keelan Kilrehill of Moy Valley AC and Efrem Gidey, running for Clonliffe Harriers, third and fourth. Conall McClean, of St Malachy’s AC, who had won the senior boys’ race at the DCU Schools Cross Country just three days earlier, was first home for Northern Ireland in 12th place. Best for the home team in the girls’ U20 race was Mid-Ulster’s Grace Carson in seventh place, with Mia McCalmont of Tir Chonaill AC 9th and Bandon’s Laura Nicolson for the Republic’s U20 team tenth. Race winner was Grace Brock of England. Winners of the open races were Claire McGuigan of Lifford Strane and Ben Morrow of Ballymena Runners. Grace McKenzie of Belgooly AC broke Kate O’Connor’s Irish indoor pentathlon record at the Samford Heptathlon/Pentathlon in Birmingham, Alabama on Thursday (January 17). McKenzie’s score of 4217 improved on the 4174 score achieved by O’Connor in Sheffield only eleven days earlier. The 22-year old McNeese State junior started with am 8.69 sec time for the 60m hurdles, following that up with a personal best 1.74m for the high jump, another personal best of 11.47 m in the shot, and 5.31m in the long jump. She rounded off her day with a superb time of 2:13.51 in the 800m – an improvement of almost eight seconds on her indoor performance from last year. That time was by some way the fastest of the day but was not enough to give overall victory to McKenzie, who finished an agonising seven seconds behind winner Jordan Gray of Kennesaw State on 4118 points. The season is far from over with O’Connor opting out of Saturday’s national championships after getting an invitation to compete in the UK next weekend. In her absence, Laura Frey of Lagan Valley won the senior women’s pentathlon title in Athlone with a personal best score of 3298 points on Saturday (January 19). Until the final 1000m, the men’s competition was a closely-fought battle between defending champion Shane Aston of Trim AC, hurdles specialist Gerard O’Donnell of Carrick-on-Shannon AC and former outdoor champion Michael Bowler of Enniscorthy AC. Although O’Donnell picked up the highest points in the hurdles and long jump, Aston proved best in the shot, with Bowler a close second. It meant that with the high jump and the 1000m to go, Aston was leading by 46 points and he maintained that lead in the high jump with a personal best 1.90m. A further personal best in the 1000m meant the title was back in his hands with a new Irish championships record total of 3,720 points. Neither McDonnell nor Bowler ran the 1000m, although with 3033 points after four events, O’Donnell had the second highest score of the day. Others to score over 3000 points were Diarmuid O’Connor of Bandon AC, winner of the men’s youth title with 3592, Anna Ryan of Moycarkey Coolcroo AC, with 3083 to win the youth women’s event; Conor Hoade of Galway City Harriers and Laura Frawley of St Mary’s Limerick winners of the U16 titles, and Finn O’Neill of City of Derry Spartans and Ava Rochford of Ennis TC winners in the U15 category. Sinead Lambe of the Marino Institute of Education was the winner of the women’s 2 mile race at the BHAA Cross Country held at Cherryfield Park, Firhouse, Dublin. Lambe time of 11:54 secs saw her finish comfortably clear of Katie Rogers and Katie Maher who had both signed up on the day. Dublin Teachers proved best of the teams. Eoin Devlin of the Irish Stock Exchange won the men’s 5-mile in 26:22. Sean Doran of C&E Products was second and guest runner Ieuan Hopkins third. 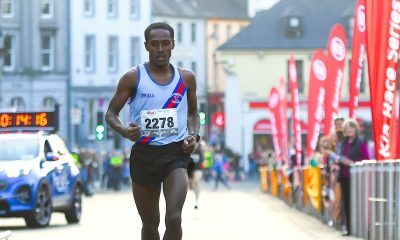 Bank of Ireland won the A division team title, with Dublin Bus best in the B division, Dublin City Council best in C, and RTE winners in D.
At parkrun on Saturday, Liffey Valley’s Peter Arthur ran 15:28 at the Waterstown event to record the fastest time across the island of Ireland. 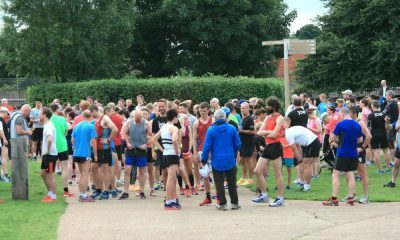 Ireland’s marathon record holder Catherina McKiernan recorded the quickest women’s time across Ireland after a 17:31 run at the Malahide parkrun. 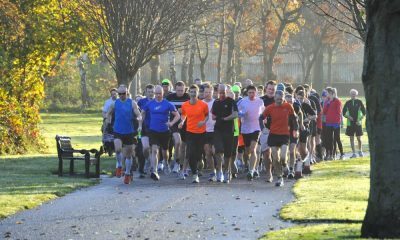 The 10 fastest parkrun times across Ireland can be found here.